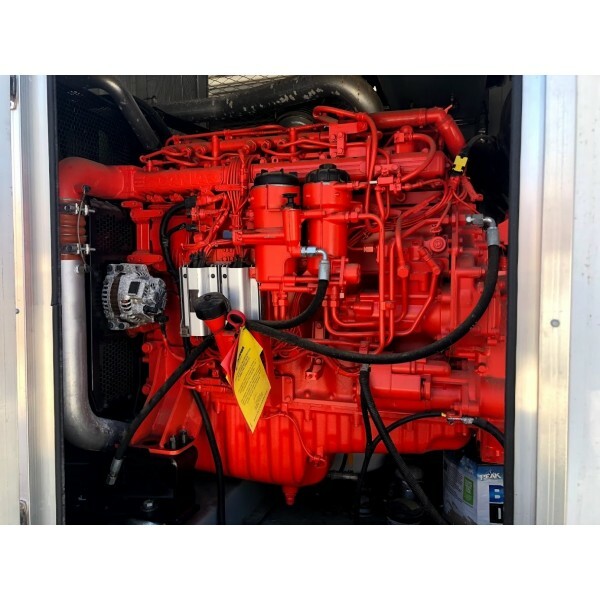 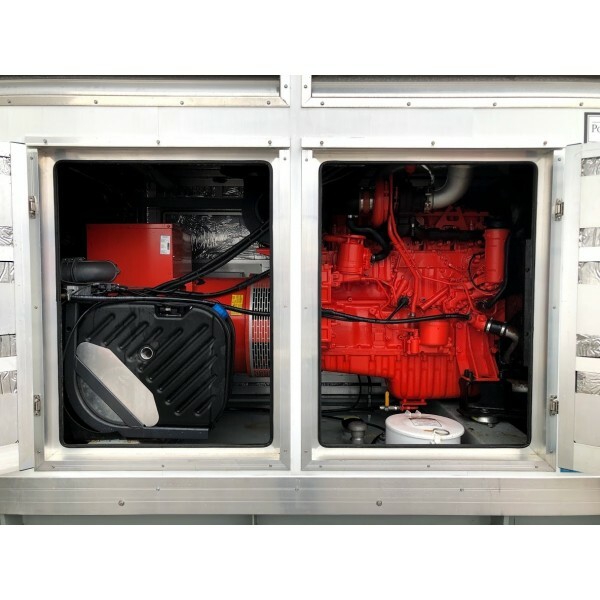 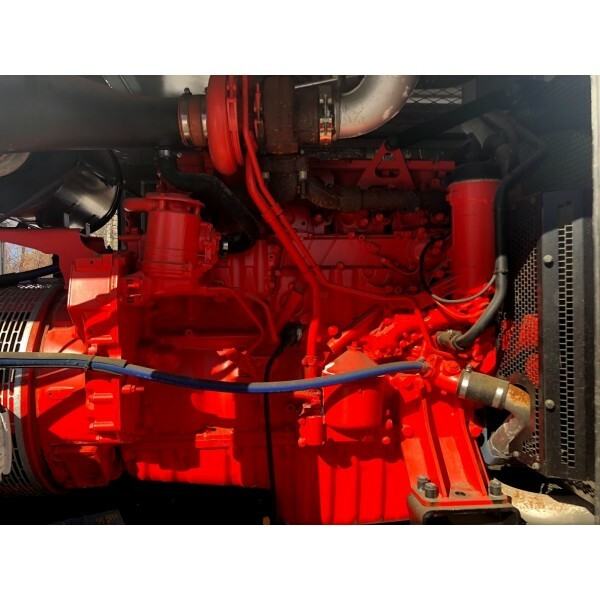 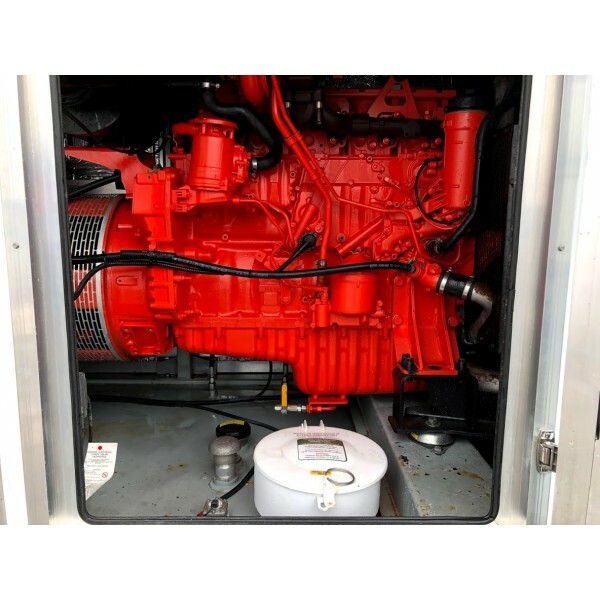 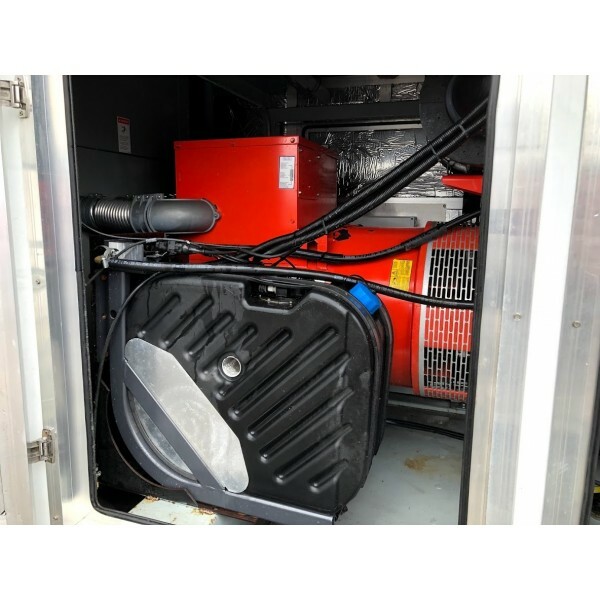 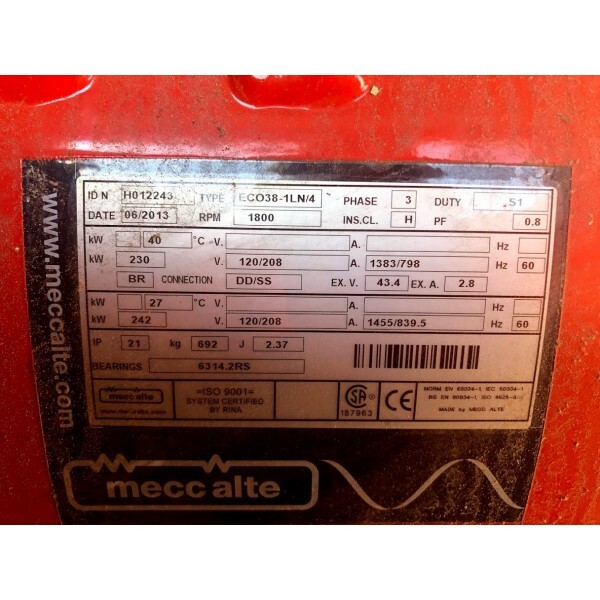 This is a used diesel generator package for sale that houses a complete system, everything you need for back up emergency power! 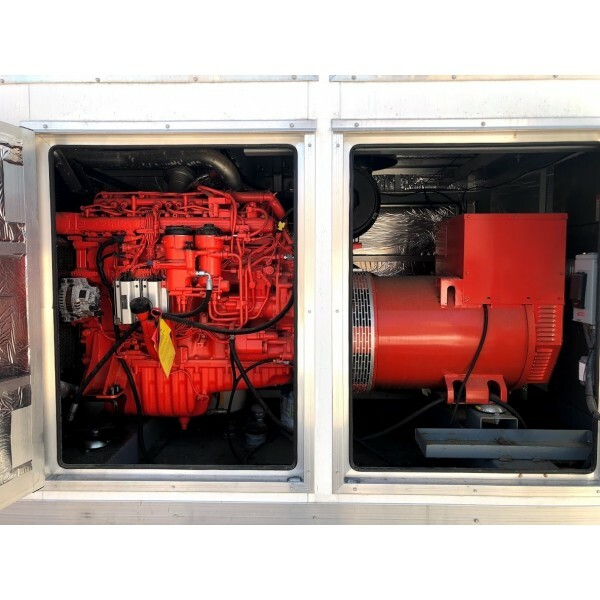 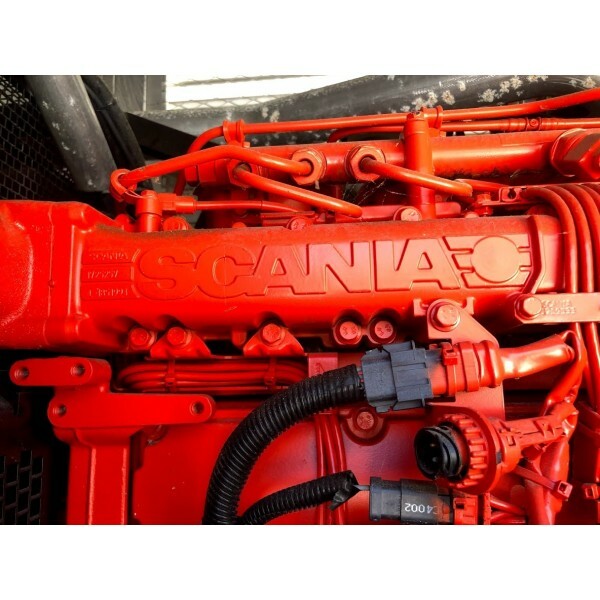 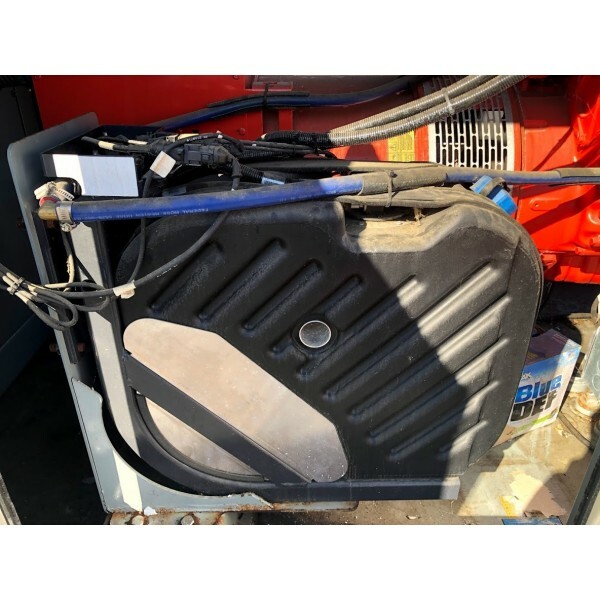 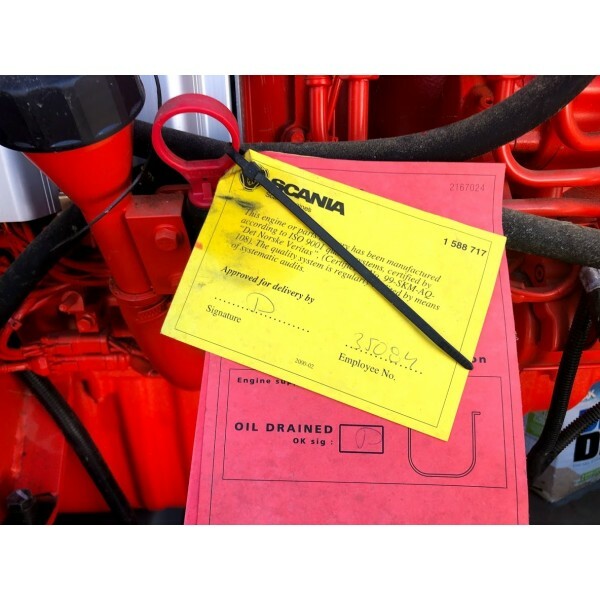 This package comes complete with a late model, Tier 4I, 5 cylinder Scania diesel engine, sound attenuated high end aluminum enclosure with heavy duty doors and latches, base mounted 475 gallon fuel tank that will provide over 24 hours at full load and nearly 48 hours at 1/2 load, and last but not least, a unit mounted automatic transfer switch and main electronic trip main circuit breaker. 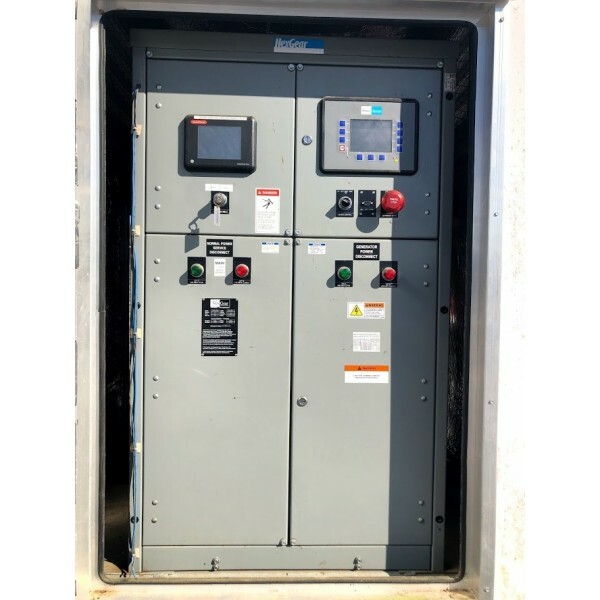 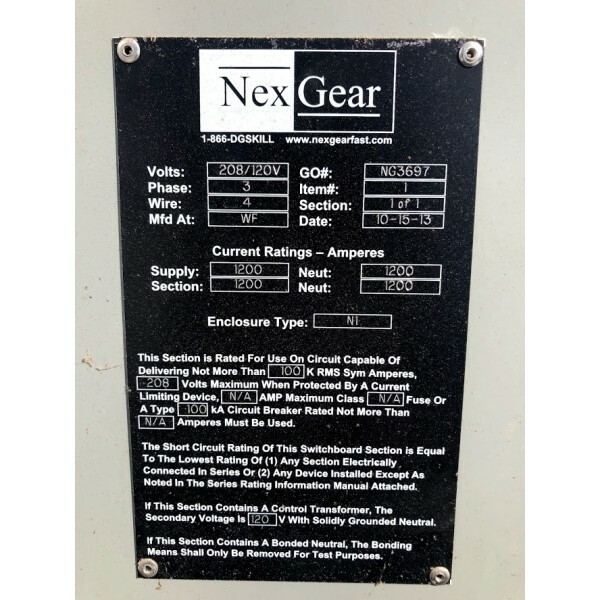 Both the transfer switch and breaker gear are housed in their own NEMA 1 enclosure, INSIDE the generator enclosure. 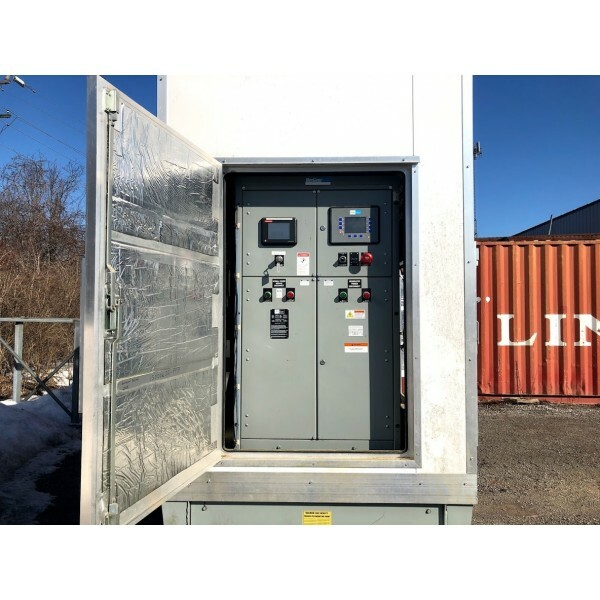 Not only is this a space saver, it saves you money in running expensive cable! 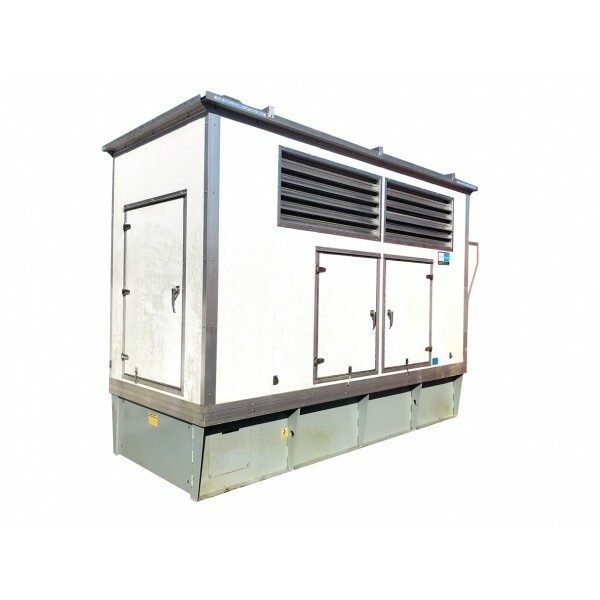 The generator end is a 12 lead re-connectable unit, currently wired to produce 208V, but can be switched to 460 volt and other 3 phase and single phase voltages. 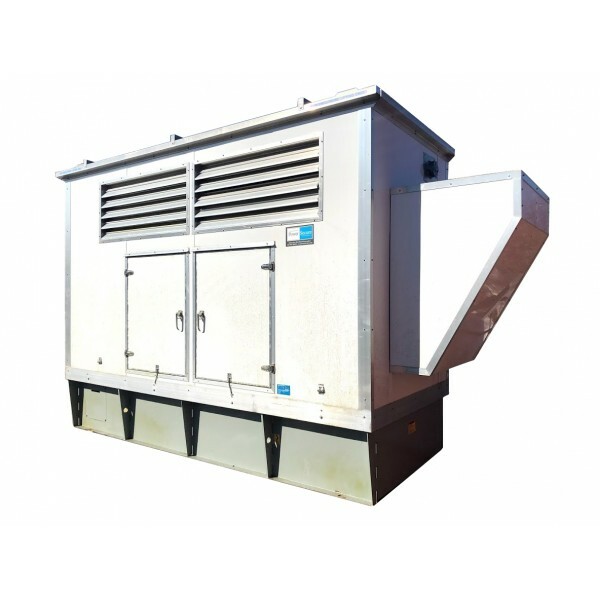 It is the complete package with not only a great physical appearance, but furthermore a robust and well built design! 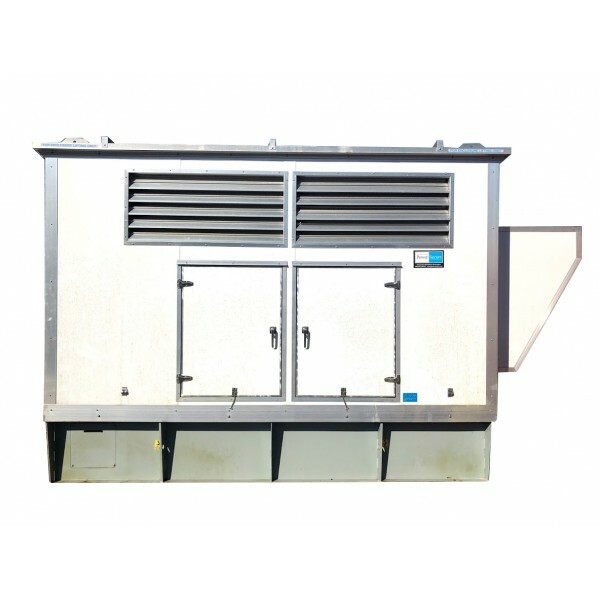 Note, we have nearly a dozen of these fresh units in stock, all low hours, all will be serviced prior to shipping! 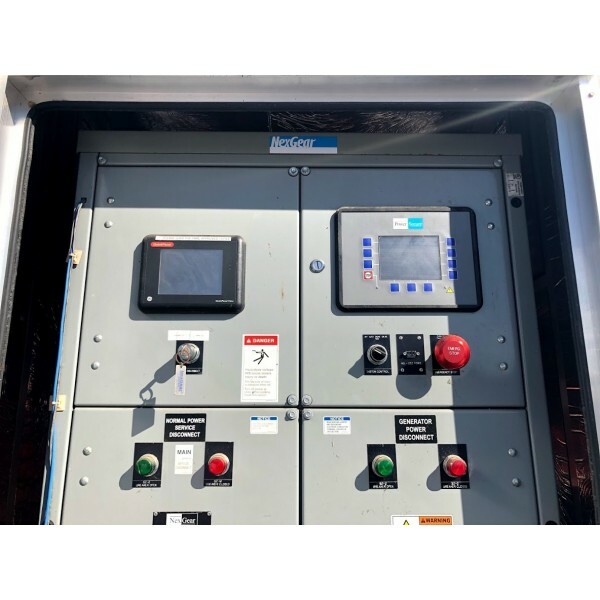 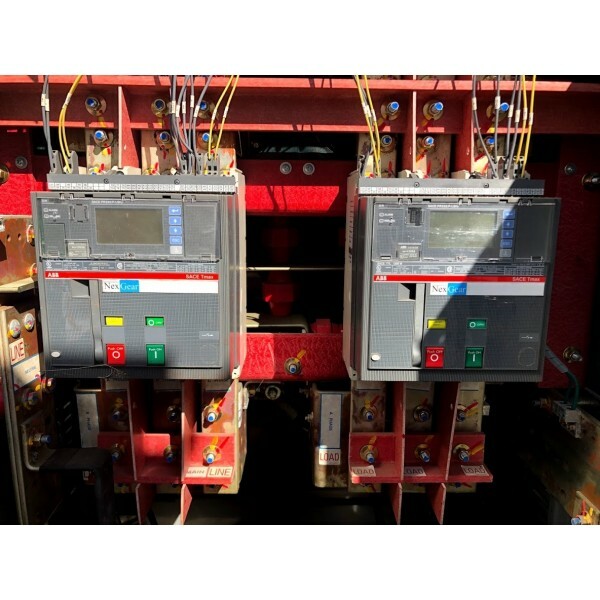 If you need several units and the capability to run these in parallel, the Woodward EASYGEN-3200-5 controllers that come installed are specially designed to handle that for you! 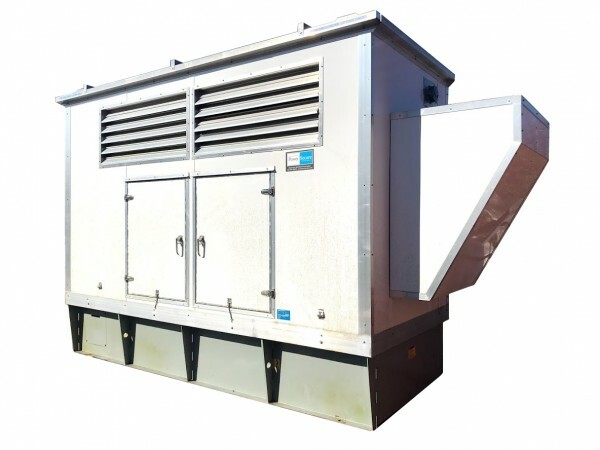 You're two steps ahead of the game buying more than one unit! 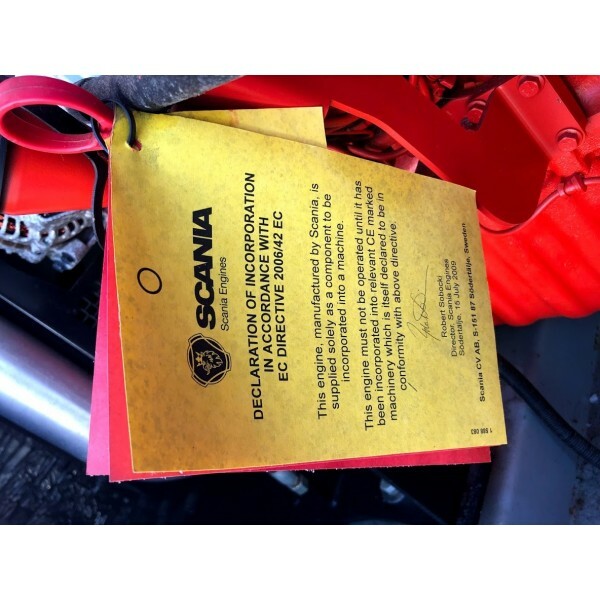 You will be very pleased and the condition and robustness of these systems! 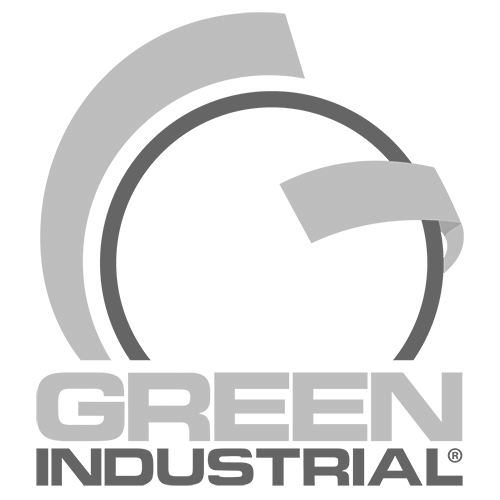 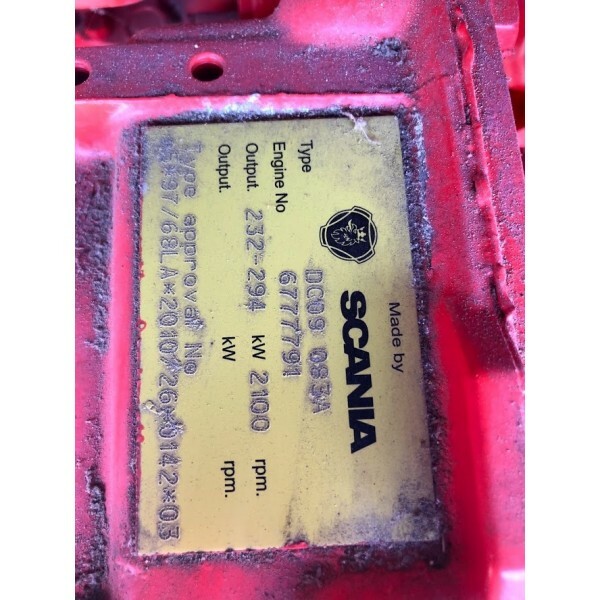 *We have multiple units in stock, some data may vary, call for your exact machine spec, price listed is for ONE MACHINE!